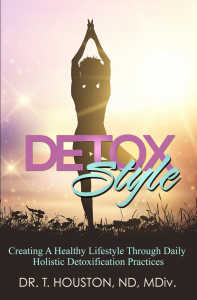 Detox Style author Dr. T.Houston is a doctor you need to know about!!! What does it really mean when someone says they want to live a healthy lifestyle? Is that even possible today? The food we eat, the water we drink, the air we breathe. There are things that we can’t control that affect us on a daily basis. But what about the things we can control? Would you like to know? Is it important to have the ability to feel good more than you feel bad? Healthcare is in the forefront in this new year, and if you have not made decisions on how you will take care of yourself and your family yet, would you like an additional option to consider? Dr. T. Houston would love to be that for you. But first, let’s find out more about your new doctor. She was born in Saginaw, Michican. It’s a small city in the central part of the state. She was born into a large family. Her mother was the oldest of seven children, so there were plenty of aunts and uncles around. Tawainna grew up for the most part in Saginaw, raised by her grandparents. This was because her mother had her as a teen, and she relocated to Dallas at the age of eight. Tawainna temporarily relocated to reside with her mother three different times, even moving briefly to Atlanta once during her junior year in high school. Each time she returned to Saginaw, where she would remain until she completed high school and finally depart for good, this time to Washington D.C. to attend Howard University. The positive that came from moving often was the opportunity to learn how to meet new people, make new friends and how to adapt quickly to new environments. These were life skills that she was able to draw on later in life. One thing that Tawainna appreciated the most, was that she was exposed to life on a level she never would have realized if she had stayed put in Saginaw. Staying in a place where there were not many opportunities, people didn’t have goals, she would have never pushed herself and she would not be where she is today. How did Tawainna get where she is today? At first, she pursued a career as a human services provider. In the midst of this, she constantly looked for natural ways to improve her personal health and wellness. The more she learned, the more she wanted to aid the clients that she served. One particular occasion, she was speaking with a wellness educator. This individual was working towards becoming a naturopathic doctor. This was Tawainna’s “moment of clarity”. She decided that becoming a naturopathic doctor was a path worth following. Years of hard work, dedication and sacrifice, she accomplished that goal. This decision was easy, even as a child the eagerness to help people was instinctive. Working as a counselor and in human services, she found out how she could help a person’s mind, body and spirit. Naturopathic medicine was the perfect fit because it was natural medicine and holistic. Dr. T. Houston is excited about the new year and the future. Of course becoming a doctor is a huge accomplishment. Publishing her first book just two and a half years after completing medical school, tremendous. Now, she plans on helping more people locally (Atlanta), nationally, internationally. This will be done through consultations at her office, remotely by phone and video, in person, on panels and other public speaking events. Hopefully you will take advantage! Tawainna has a hectic schedule. To relax, she enjoys going on hikes, or meditating near lakes or rivers. Spoken word poetry and attending live music venues are other hobbies she uses to wind down. Does Dr. T. Houston have a preference when it comes to food? “Everything tastes better with bread (in moderation of course)”, she says. During winter months she enjoys a hearty bowl of tomato or vegetable soup, best for staying warm. Green smoothies provide healthy benefits, she drinks them regularly. Be sure to ask the doctor on suggestions on having a “favorite food”. Naturopathic medicine is built around the philosophy that the body has a built-in self repair mechanism. 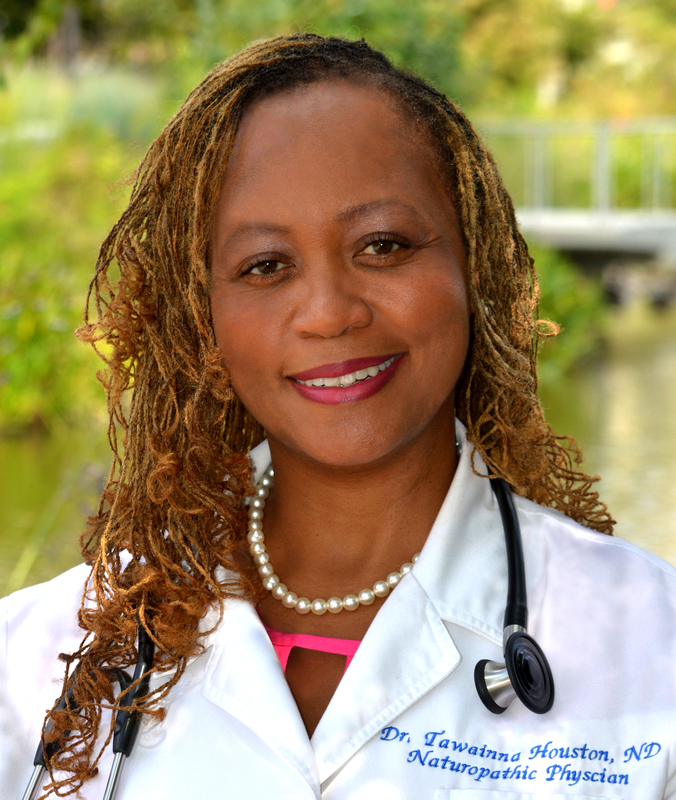 Dr. T. Houston is trained to identify and remove the barriers to this healing process. She gets to the root cause of a disease, and offers drugless therapies. This is the key reason why she makes herself available to any and all who want “options” when it comes to their health. How can you schedule an appointment? Tawainna is available by appointment at her office, by phone/video consultation. Visit her website at www.drthouston.com or call her at 404.585.1561. Look forward to hearing her speak about naturopathic medicine this year. If you would like Dr. T. Houston to speak at your event or for your group, email chris@imtmworldwide.com. The Top 5. The Top 5 reasons people do not reach their success. Anna Coy is making herself into a star!! !